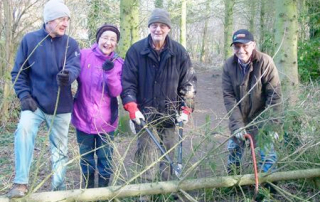 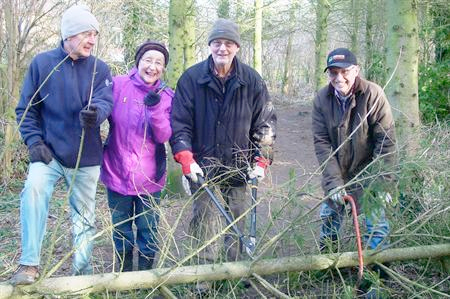 Friends of Pocklington Green Spaces were out in force in early January clearing the undergrowth from the belt of trees at the back of Strother Close. Councillor Peter Winterton played the piano around the Christmas tree in the Market Place at Pocklington on Sunday afternoon. 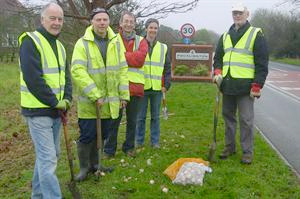 On Thursday 27th November 2014 members of the Friends of Pocklington Green Spaces group planted spring bulbs on the grass verge in Barmby Road. 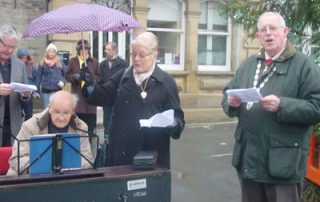 This article is available as a PDF document for downloading. 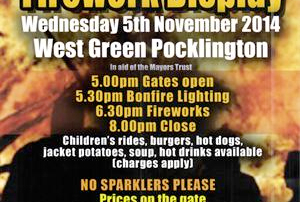 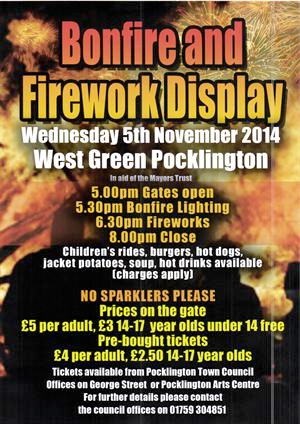 AT 5pm on Wednesday 5th November 2014 the gates opened at West Green for a community bonfire and fireworks display.